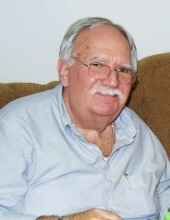 Darrell Lee Crawford, 75 of Seymour, passed away on Tuesday, March 19, 2019 at his home. Born September 4, 1943 in Summerford, OH, he was the son of George R. and Ruby (Adams) Crawford. On October 27, 1962 in Crothersville, he married Pauline Davidson. Darrell graduated from Crothersville High School in 1961 and then joined the U.S. Army. After the military, Darrell worked at Cummins Engine Company where he retired on January 1, 1998 after 30 years and 3 months of service. Darrell was a machine repairman with Cummins. He attended 1st Baptist Church in Seymour when able. Darrell enjoyed golfing, reading, watching westerns and collecting knives. Left to cherish his memories is his wife of 57 years, Pauline; his daughters, Julie (Donald) Couch and Connie Ellis both of Seymour; grandchildren, Jennifer (Cory) Smith, Andrew (Tonya) Couch all of Seymour and Macie Ellis of Indianapolis; great-grandchildren, Grace, Madison and Jackson Smith and Hope, Faith and Ryan Couch. Darrell also leaves behind several nieces and nephews. Darrell was preceded in death by his parents and brother, Sonny Crawford and sister, Lois Darlene McCormick. To send flowers or a remembrance gift to the family of Darrell Lee Crawford, please visit our Tribute Store. "Email Address" would like to share the life celebration of Darrell Lee Crawford. Click on the "link" to go to share a favorite memory or leave a condolence message for the family.